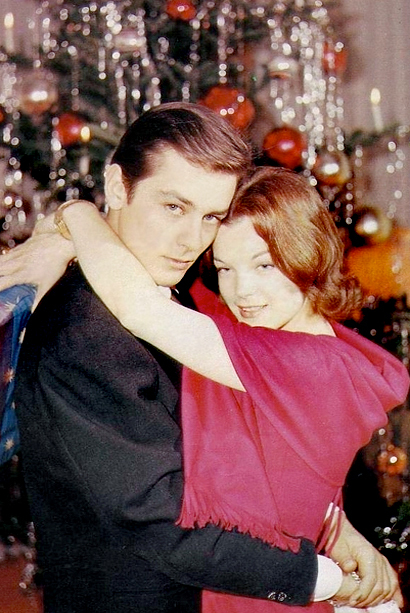 Things have been pretty festive around here all month but I wanted to share a photo of Alain Delon and Romy Schneider as well as a song before I disappeared for a 7 day holiday. Regular readers are well aware of my interest in Anthony Perkins and his singing career so it’s probably no surprise that I was thrilled to discover that the actor had recorded a number of Christmas songs including his own rendition of “Let It Snow.” It was recorded later in his career so his voice doesn’t have the same melodic tone that his earlier recordings have but it’s still fun to listen to. Enjoy and happy holiday from Cinebeats!